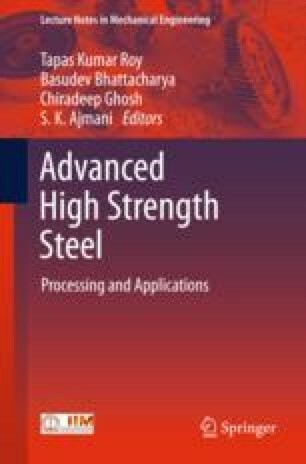 The challenge to develop new steel grades with superior mechanical properties in terms of yield strength and deformation behavior has to take into consideration technical, processing, marketing, and economic aspects. The environmental impact in regard to a life cycle assessment is already for AHSS grades very favorable as less material has to be produced and processed on one hand coupled with substantial lower weight to logistically be handled. The technical challenges during production and processing cover the complete process chain from steelmaking, casting, rolling, coating, and annealing. AHSS steel grades are characterized by complex alloying concepts with increased Al and Mn contents; the grades show the tendency for crack formation during solidification. High-strength and strong deformation force leads to high loads and torques in the rolling mills. The superior mechanical properties in regard to elongation and yield strength are derived by complex microstructure engineering with dedicated or accelerated cooling patterns. Therefore, a comprehensive review of the complete process chain is required to identify obstacles and bottlenecks. are described in this paper. Finally, an indispensable prerequisite for production of AHSS grades is strict conformance to process and quality management through the entire process chain, which demands a powerful tool to monitor, document, analyze, and secure the operation. A PQA quality management solution including an expert-based know-how software kernel can respond in time to ensure highest yield at optimum quality for utmost customer satisfaction.